Copyright © 2014 Jake Harper Earthquest Minerals - This image is copyrighted. Unauthorized reproduction prohibited. The AMNH also has a row of killer touch specimens suspended in a display alcove along a walkway. 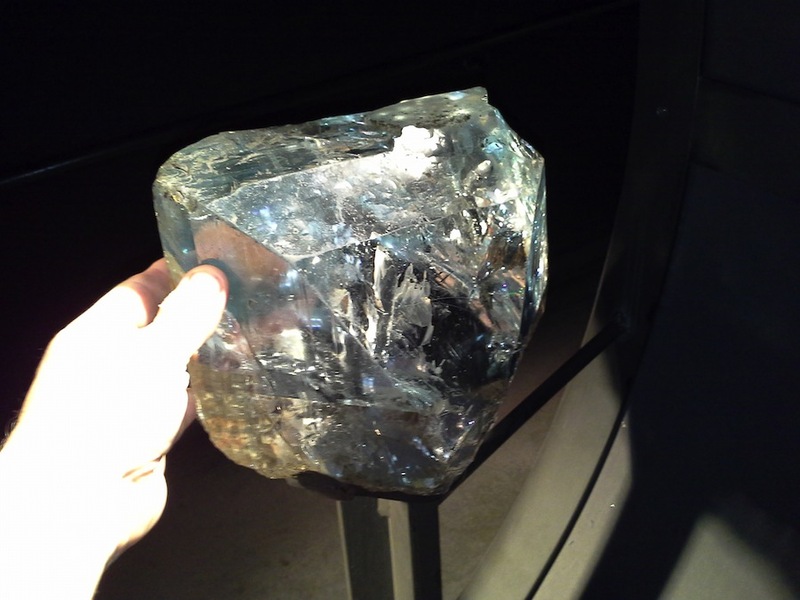 This gemmy Vergem da Lapa topaz crystal was the star of the display!